Two stories of Clovis Crawfish! In French! And on Side Two, Bertile Butterfly has a baby. Clovis and his friends are surprised to see that the baby does not look like a butterfly, but a worm instead. As they watch the baby grow, they discover the stages that a caterpillar goes through. The cocoon is blown off a vine during a storm and is saved by the ingenious Clovis. The caterpillar finally emerges as Petit Papillon (the Little Butterfly). In every story in this classic series, Clovis and his friends teach a lesson while also revealing a glimpse of life on the Louisiana bayou. Each book, written by Mary Alice Fontenot, has a pronunciation guide and a song with music and French and English lyrics. Side 1 presents Clovis Crawfish and His Friends, the now-classic book that launched this popular series. Clovis lives in a mud house in Bayou Frog Tail, and M’sieu Blue Jay is about to make a meal of his good friend Gaston® Grasshopper! On side 2’s adventure, Clovis Crawfish and Simeon Suce-Fleur, the sky darkens and strange cold flakes begin to fall. Clovis hurries back to his mud house for shelter, only to find his new hummingbird friend Simeon Suce-Fleur suffering badly from the sudden icy weather. While there have been many adaptations of Clement Moore’s memorable poem, author Mark Vogl has brought a new interpretation to the field. Originally published as a short Christmas greeting to readers of his Rebel Mountain Reader, his poem stands alone as a testament to the best of human nature during a trying time for all in the Civil War. While Congress did not declare Christmas a holiday until 1870, and the traditions of Santa Claus and presents were still foreign to many families in America, those who had little still felt the need to share with widows and orphans of their fallen brothers on the most holy of Christian celebrations. 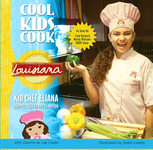 Lapin, the clever rabbit, his friend Bouki, the slow-witted wolf, and their friends encounter adventure, competition, and romance throughout the bayous of Louisiana in this collection of entertaining and educational tales. This is the French Language version of Cajun Folktales. 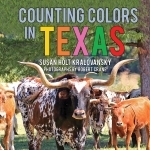 This bilingual picture book will spark the imagination and creativity in every child—Texan or not! Children will enjoy the educational nature of this book, counting from place to place and picking up a few Spanish words along the way!